Carinn; carerynn | Malaysia Fashion, Beauty & Lifestyle Blog: Beauty/ Shopping: Sephora x Tarte Cosmetics Haul! I'm basically obsessed with Sephora. I love to window shop in the stores, so much so that I think the BAs in the Johor Bahru branch knows me now because I go there practically every week. :P This year when Sephora Malaysia went online, I was elated.. but my wallet wasn't. Haha. Not many in-store brands are available online yet, but one of my favourite brand Tarte, is! 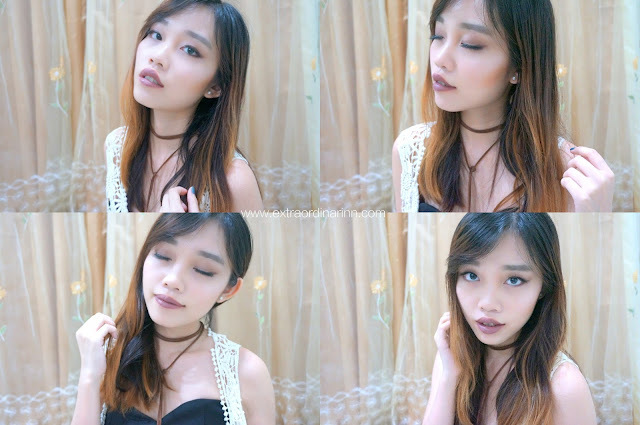 Check out my recent Tarte Cosmetics haul, which I used to create this look! Tarte is a smart, colourful brand that is bursting with powerful, natural ingredients like superfruit, plant extracts, vitamins, minerals and essential oils. Tarte products are dermatologist-tested and formulated without parabens, mineral oils, phtalates, triclosan, sodium lauryl sulfate and gluten, making it perfect for all skin types. My favourite thing about Tarte is the fact that their products are cruelty-free while delivering great results. I remember my first ever product from them was the Cheek Stain which was seriously one of the best blushers I've used! The first product that I chose was the popular Tartelette in Bloom Clay Palette! I've never actually owned a high-end eyeshadow palette before, so I thought it was time to get my hands on one. This palette contains 12 brand-new, trendy eyeshadows in a mix of matte and luster finishes. The colours allow for an endless range of stunning, smouldering looks. The various shades complements each other to suit your lid, liner and crease. Tarte's signature Amazonian Clay formula is also infused in this palette so you can expect true pigmented colour payoff, excellent blendability and lasting colour all in a chic, portable palette. There are mineral pigments added as well to soothe and soften skin. So in love with the colourful floral design paired with gold edges on the packaging! There were instructions of some star looks that came with the palette, which I followed to create this look called 'Sunflower Stare'. It's really easy to create and gives off a warm yet trendy eye look. My only qualm with this palette was that it doesn't come with an eyeshadow brush. The colours of the eyeshadow are quite pigmented, but I find that it's easier to pick up the matte shades as compared to the pearl ones. The lustrous pearl powder is so fine and doesn't fall out, so it looks natural and the colour makes your eyes pop when applied to the centre of the lids. Let me know if you'd like a tutorial on this look and also a full swatch on the colours in this palette! I think my favourite shade has got to be 'Funny Girl' which I applied all over the eyelids. It's a warm champagne colour with very subtle glitter bits. This lipstick has been in my wishlist for the longest time. I was intrigued by the whimsical colours of the packaging. The colours are inspired by the lush vegetation in the Amazon. There are 6 shades in this range and each has a different design on the packaging, too pretty! The lipstick is infused with naturally derived ingredients from the Amazon and adds a splash of rich colour & creamy shine when applied. The formula is paraben- and pthalate-free and also enriched with harvested cupuacu and murumuru butters to deliver intense moisture and restore & soothe dry lips. I was most excited to receive this! I've been watching Bunny aka Grav3yardgirl on Youtube for a year now and I really like her funny, honest and real personality when it comes to beauty reviews. So you can imagine my excitement to get my hands on one of the Tarte x Grav3yardgirl collection. I initially wanted to get the Swamp Queen eyeshadow palette, but couldn't find it on the website so I settled for one of the two Tarteist Lip Paint instead. Both shades are exclusively curated by Bunny with the same long-wearing Tarteist Creamy Matte Lip Paint formula. The best part is, it comes in a special collector's packaging that has a custom Bunny signature on the lid!! The brush is a precision paint brush wand, sort of like a doe-foot applicator except that it isn't curved. You'll be happy to know that this product is also vegan-friendly! This is not your average lip colour. I eventually settled on the shade 'Texas Toast' since I don't wear reds that often. It's actually quite hard to find a certain word to describe this colour. As Bunny puts it, it's a mauvey, nudish kinda colour? The photo actually makes the shade appear darker than it is though, I find that this colour looks paler in real life. This colour is trendy enough for everyday use and are full coverage mattes to take your look from day to night with its moussey texture and non-drying formula. It's a very interesting product indeed! 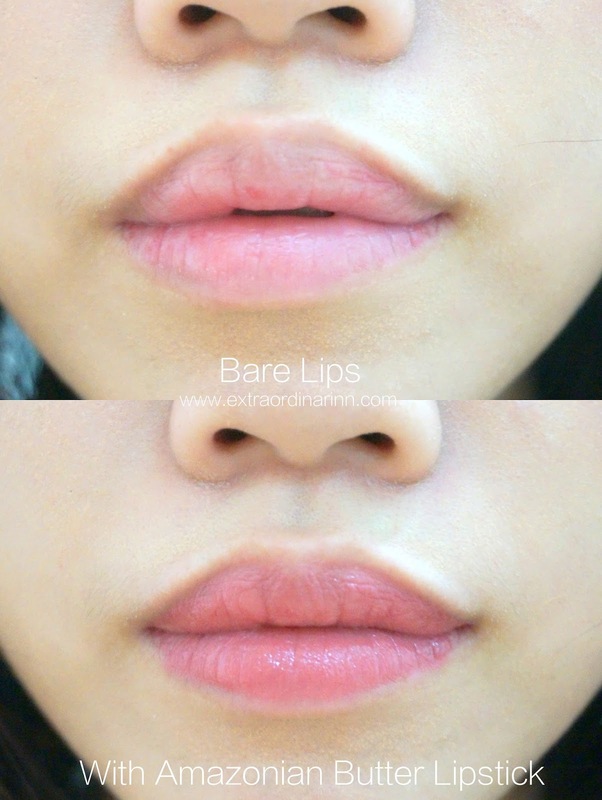 It feels so lightweight and soft on the lips, doesn't settle into the fine lines and isn't drying. Do note that this doesn't dry fully matte though, in fact it does have a moussey texture to it. Reapplication is needed after eating & drinking, but I would still classify it as a pretty long-wearing lipstick. This set features a deluxe trio of Tarte's sculpting products including the matte bronzer Deluxe The Sculptor Contouring Face Slenderizer in Park Ave Princess, Deluxe Highlighter in Champagne and mini Slenderizer Contour Brush with cruelty-free bristles for a natural looking contour. Can't really remember the name and price of this set as it's no longer available online, but it came with a Deluxe Amazonian Clay 12-hour Blush in Sweet and Cheek Stain in Dazed! This was the closest thing that I could find to this set though. Contour, highlight and blusher all using the Tarte minis. I also got these products from Tarte which I dug out from my collection to use for this look. I've had these for quite awhile now from previous Sephora hauls and I especially love the contour set! These minis have a special place in my makeup bag when I go travelling. The prices are quite affordable if you think about it, and you get to try more than one product at one go. If you're looking to try Tarte products for the first time, I'd suggest checking Sephora website (I've never seen the minis in stores before) as they do offer minis sets that are not only adorable but useful too. They have mini mascaras, blushers and even lip products. From experience, the minis tend to go out of stock faster though, better act fast! My final makeup look using Tarte products. Next up on my wishlist would be the Amazonian Clay foundation and concealer :p This look is fun and warm, which gives off a boho-chic vibe to me. The recurring theme seems to be brown and is a look that I'd wear to a festival. Love how simple it was to create using Tarte products! I strongly recommend you to check out Tarte, it's a brand you don't want to miss from Sephora. I'd say the prices are from mid- to high-range, something most girl can afford to invest in. Conveniently, it's available online too so you just have to place your order and wait for 5 - 7 days for your parcel to arrive in good condition at your doorstep. So far, Sephora Online has not failed me, except maybe the shipping takes a little longer than most online stores. They are quite new and I'm sure there is room for more improvements. Other than that, I'm always happy to receive my hauls and looking forward to the next one! Disclaimer: Even though the review was sponsored, it has not affected my opinion in anyway. All opinions on products and services are purely my own after trying it out personally.